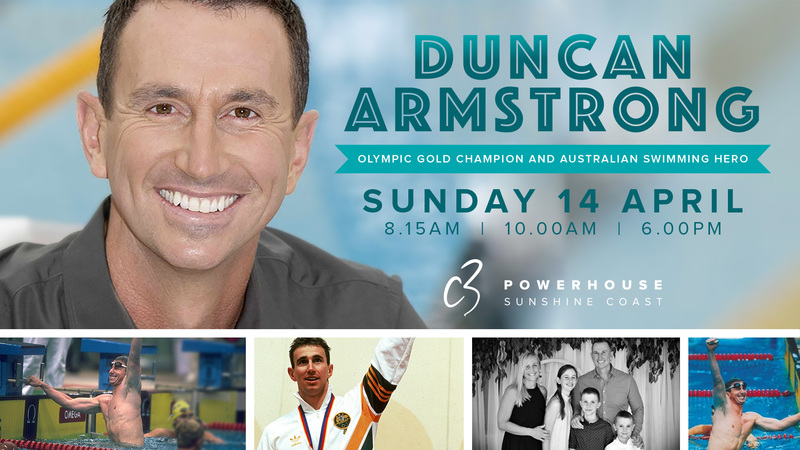 Olympic Gold Medallist and Australian swimming hero Duncan Armstrong will be joining us on Sunday 14th April at all services! Duncan Armstrong became a household name when he claimed an Olympic Gold medal for Australia at the Seoul Games in 1988 and in the course of his career broke the 200m freestyle World Record. Since retiring from competitive swimming, Duncan has received a host of national honours out of the pool including an Order of Australia Medal and the Young Australian of the Year. As a truly inspirational Australian with a truly inspirational story, Duncan will share some of his funniest and memorable moments from inside his Green and Gold tracksuit, along with sharing his story of how he found true joy and fulfilment when he met Jesus. Today Duncan spends his time being a great dad to his 5 kids along with Rebecca his wife, as well as working in the corporate world, doing media for swimming events, being involved in a number of charity events around Australia each year and of course participating as an active member of his fantastic local church.